In the Divine Liturgy, after the initial doxology in which the celebrant blesses the Kingdom of God and blesses with the sign of the Cross the altar table and its antimension before using it, the assembled Church next prays the Great Litany. This represents the intercessory prayers of the royal priesthood, wherein the Church prays for the whole world in the Name of Jesus, standing in the gap and lifting up the whole needy cosmos to the mercy of God. St. John Chrysostom, if taken straight from his Liturgy in the fourth century to ours, would be surprised that this was done so early in the liturgical assembly. That is because in St. John’s day, there were catechumens present, men and women who were not yet part of the royal priesthood (that is, the holy laity), and who were therefore not yet qualified to offer those prayers to God. Our present liturgical ordo is not the actual service as served by Chrysostom (whatever our ascription says in the final dismissal), but the service of the Byzantine Church, dating from a time after the institution of the catechumenate had died out. In Chrysostom’s day, the intercessory prayers were only offered after the catechumens had been dismissed. In the later Byzantine Church, there were no catechumens, and the only people present for the Liturgy were the baptized, since everyone had then been baptized in infancy. Thus there was no difficulty in everyone praying the intercessory prayers of the royal priesthood, because everyone present was then a part of that priesthood. The absence of catechumens during the praying of the Great Litany stressed the nature of the intercessions as prayers offered in the Name of Jesus. Praying “in the Name of Jesus” does not mean that we end our prayers with the verbal formula “and this we pray in Jesus’ Name” as if it were some sort of invocational magic wand. To pray in the Name of Jesus means to pray with the authority of Jesus, with His boldness before the Father, with His access to the Father’s presence. It means, in short, praying as part of His Body. That is why catechumens could not offer those prayers, for they were not yet part of that Body. It was only through holy baptism that they became holy; only through the initiating water and the Spirit that they became part of the royal priesthood and eligible to offer the Great Litany, praying for the world with the authority of the sons of God and members of the Body of Christ. Anyone can pray, of course, and God who hears the cry of every sparrow that falls also hears the cries of Jews, Muslims, pagans, and atheists trembling in their proverbial fox-holes. But Christian intercession is different. Christian intercession is done in the Name of Jesus, with sure and certain access to the presence of the Father. Christian intercession is like no other. In those intercessory prayers of the Great Litany we note a certain generosity of spirit and universality of concern. That is, we don’t just pray for our little congregation, or even for all the Orthodox, or even for all Christians. Instead we pray for absolutely everyone, Christian or not. We pray “for the peace of the whole world”, “for this country and its President” (or its Queen, if living in the British Commonwealth), despite the fact that many in the country are not Christian and the ruler may not be Orthodox. We pray “for every city and countryside”, regardless of how many Orthodox Christians may be in them, “for travellers by land, by sea, and by air, for the sick and the suffering”, with no concern for whether the travellers, the sick and the suffering belong to our faith confession. In short, just as God causes His sun to shine on the just and the unjust, so we also pray for everyone, regardless of their deserving. This generosity of spirit and universality of concern in prayer is intended to flow over into the rest of our lives too—just as we pray for people regardless of their deserving, so we love and give to people regardless of their deserving. We pray for travellers whether or not they are Orthodox travellers, and we give spare change to beggars whether or not they are Orthodox beggars. The Great Litany thus trains us to regard a person’s need as the primary thing, not their deserving. Their deserving and their final eternal score can be safely left with God. Our job is to pray, and love, and give. We note too that such universality of concern is mentioned in general terms. We pray, for example, for all the sick, but do not need to know their names and ailments. If one does know the name of someone needing prayer, that is fine, but such people are generally those we already know anyway. In saner times, the individual and specific suffering we knew about were mostly those of local people—we knew about a particular beggar’s plight because we saw him in the streets—and thus could do something about it. That is a much saner approach than the one current today, where we are informed at length about the suffering of multitudes of people that we cannot really help. Through newspaper, radio, and especially the nightly news, we are inundated with stories and sound bites of suffering—multitudes left homeless from a flood in China, whole families slaughtered for their Faith in the Middle East, crowds being blown up by a suicide bomber in Germany, epidemics in Britain, drought and famine in Africa. Sometimes, on rare occasions, we are given the opportunity to actually help by contributing money to relief organizations. But mostly we are simply bombarded, overwhelmed with news of suffering about which we can do nothing. No wonder our heart is worn and weighed down. We were never meant to live like this. When story after story is read over the news detailing disasters from across the world, I sometimes want to reach into the television and seize the news anchor and demand, “Why are you telling me this? No really—why are you telling me this?” It is not because I need to know, for I can and do pray for the sick and suffering anyway without this information. It is unlikely my prayers are made more effective by the weighing down of my heart. So then why am I told this? The answer, I’m afraid, is “For the entertainment value”, though of course no one in the media would phrase it like this. It is left to the prophetic song-writers to pull the mask off our cultural dysfunction and speak the truth. Take for example the old 1982 song “Dirty Laundry” by Don Henley. Henley reveals why I am told this: “It’s interesting when people die.” The Great Litany, on the other hand, allows us to pray for the world without knowing the details. There is only one person with large enough shoulders to bear the weight of the world, and know the details, and hear every suffering cry. And He has already carried their sins on the Cross. The prayer offered at the conclusion of the Great Litany seems not directly connected with the petitions that have preceded it, but seems to be a general sort of prayer that could be offered in any situation. In it the celebrant invokes God “whose power is incomparable, whose glory is incomprehensible, whose mercy is immeasurable, and whose love for man in inexpressible”. Note all the negative adjectives. They show that God is bigger than any words could describe (theologians call this “apophaticism”), beyond any description we could come up with, so that words almost have no meaning. Almost, but not quite—at the end of the day, we do have to say something in our corporate prayers. But by using these negative terms (“not comparable, not comprehensible, not measurable, not expressible”) we show how vast is God’s love and mercy to us. And that, when all is said and done, is why we sinners have the courage to pray and intercede at all. God allows us the vast dignity of causality, so that our little prayers become caught up in the immense tapestry of God’s will, and help work His purposes in the world. What Good is the Holy Fire? Very nice and informative article. Thank you Fr Lawrence! One question that came to mind as I read it: if, as you say, the people we pray for in the great litany don’t have to be Orthodox, why do the people mentioned by name in the great entrance (and during the proskomedia prayers) have to be Orthodox? 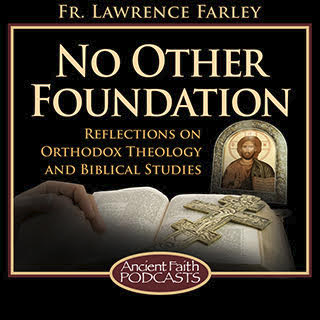 Thank you for this teaching on the Divine Liturgy. Certain key phrases create meaningful images and further thought on “the assembled Church” , “the intercessory prayers of the royal priesthood, wherein the Church prays for the whole world”, and because of our union with Christ, our intercessions are sure to be heard. It is helpful that you say we pray for “absolutely everyone” and have no need for the specifics in doing so….with that, I very much agree with your thoughts about the news media. Matter of fact three years ago I cancelled my TV subscription, as I could not bear the constant negativity. And half truths. I have to be honest and say it is taking not a short time to even begin to truly understand concepts such as priesthood, sacrifice, sacrament ( to name only a few); what is meant by saying ‘we offer back to God’…’thine own of thine own’…. and how these concepts are to manifest in the Christian life, not only on Sundays during Divine Liturgy, but each and every day. So this is why I read your articles, and books too, to shine a light on these subjects. It just takes time to sink in. Your conclusions are well said: that our job in serving others, no matter what the circumstance, is to pray, love and give and to trust in the power of God that His will certainly will be done. It really is incredible beyond words and surely a demonstration of His great love and mercy towards us that ” God allows us the vast dignity of causality, so that our little prayers become caught up in the immense tapestry of God’s will”…that’s good, Father…. yes, inexpressibly so!